Loooong week. Many writings. 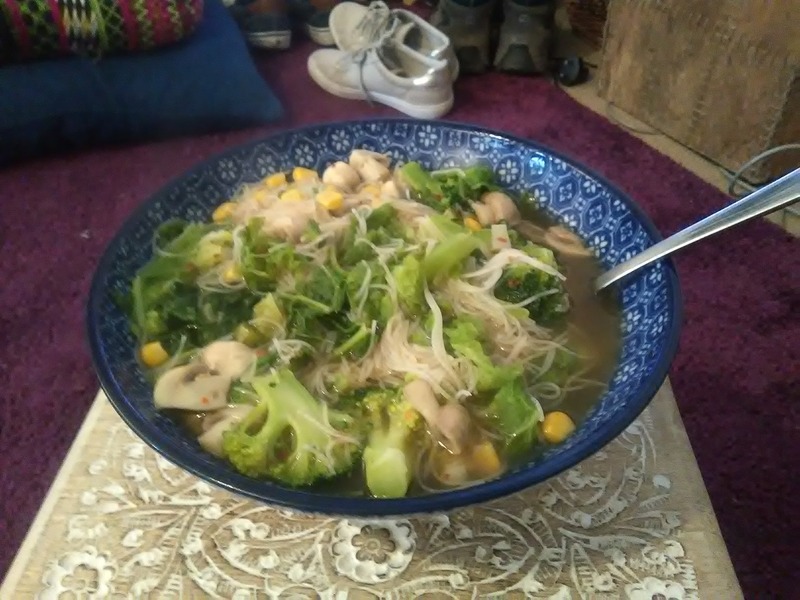 I didn’t eat out anywhere so this is mostly home-made. 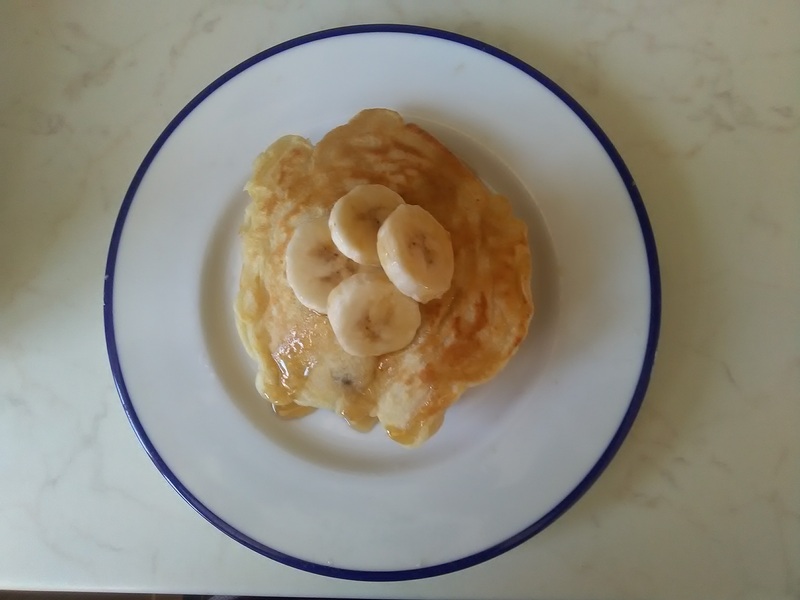 Makin’ banana pancakes and pretend that it’s the weekend… Thanks Jack Johnson! Super good! Yeah, that’s right! 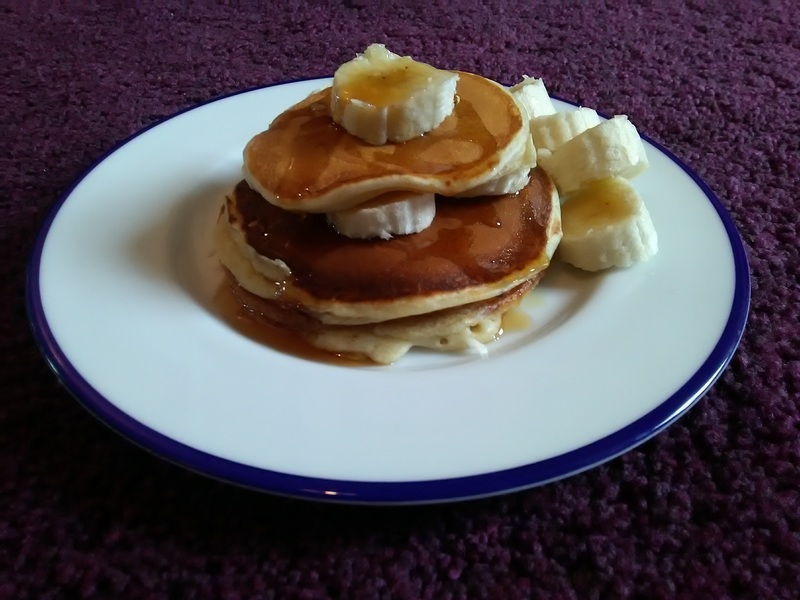 More pancakes! Don’t judge me fore this lunch. 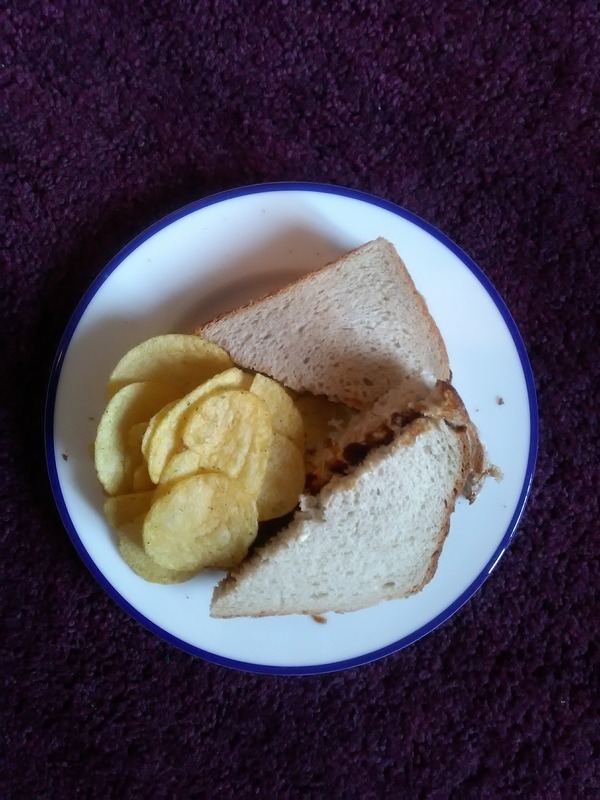 Cream cheese and chutney sandwich with Wasabi Sensations. It’s really good, okay! 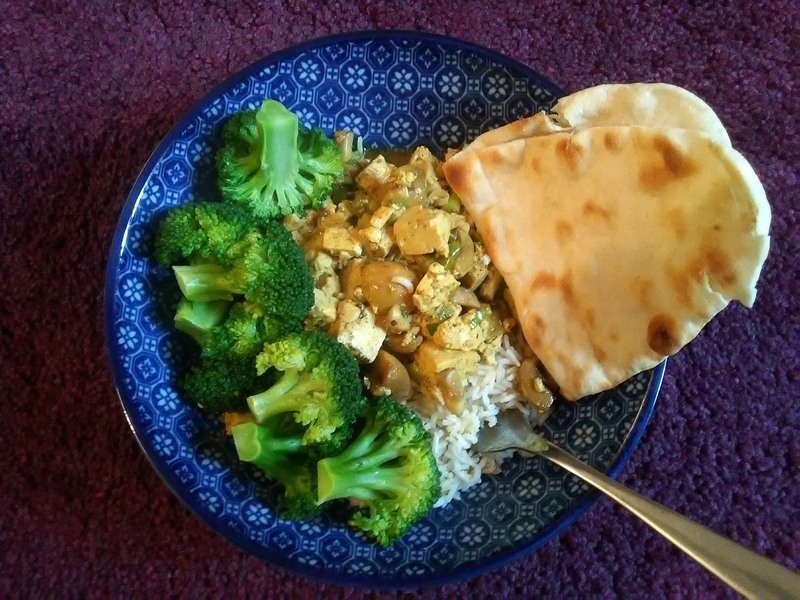 Tofu and mushroom curry? I don’t really know what it was but it tasted alright. I made cupcakes today! 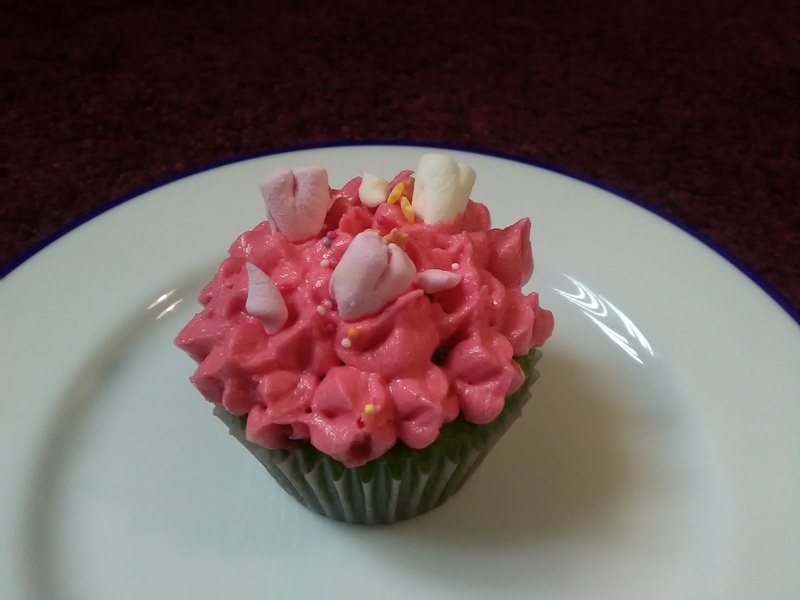 I’ve called them “Ugly Cupcakes” Inspired by the Kawaii Monster Cafe in Tokyo. Google it. Trust me! It’s insane. I chopped up mini marshmallows to make them look like hearts. 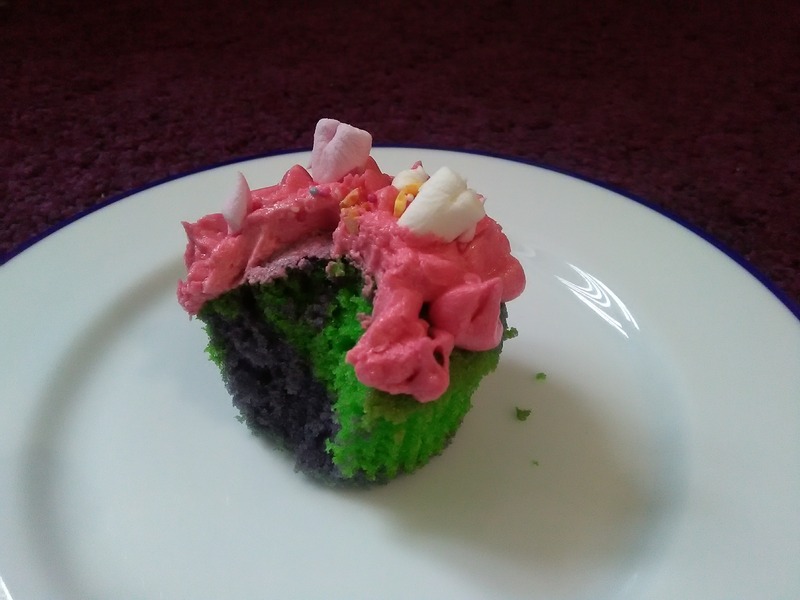 Purple and green insides. Nom, nom! 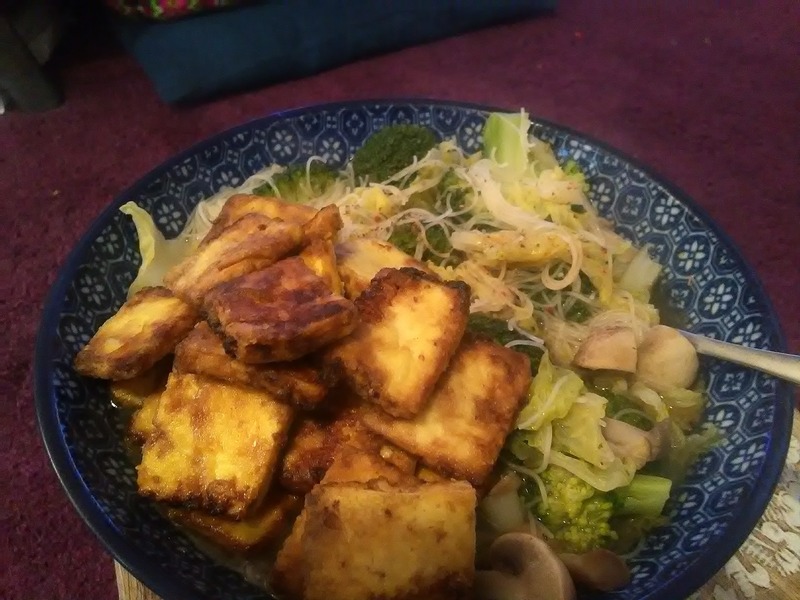 Fried tofu and noodles! This is a classic comfort food for me. Post-game celebration snack. Mae did her first Resurrection ritual (Bard style). 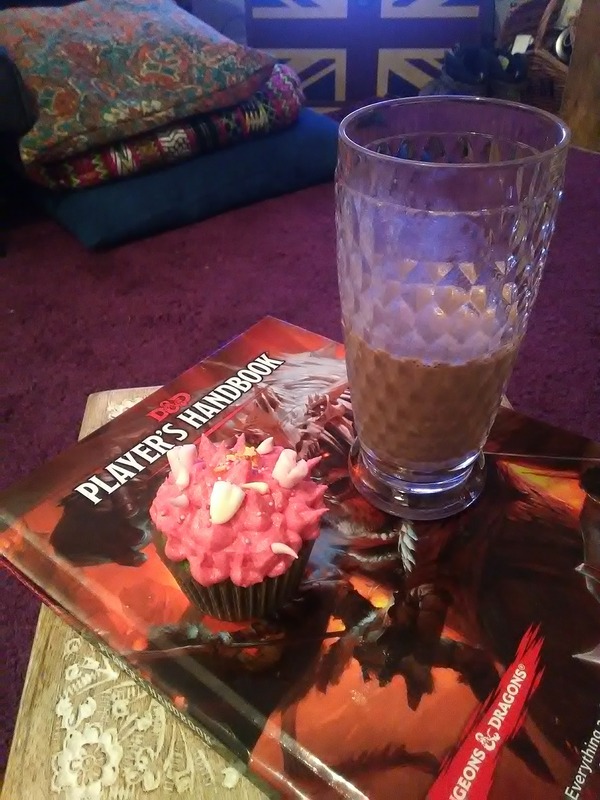 Ugly cupcake and chocolate milk. 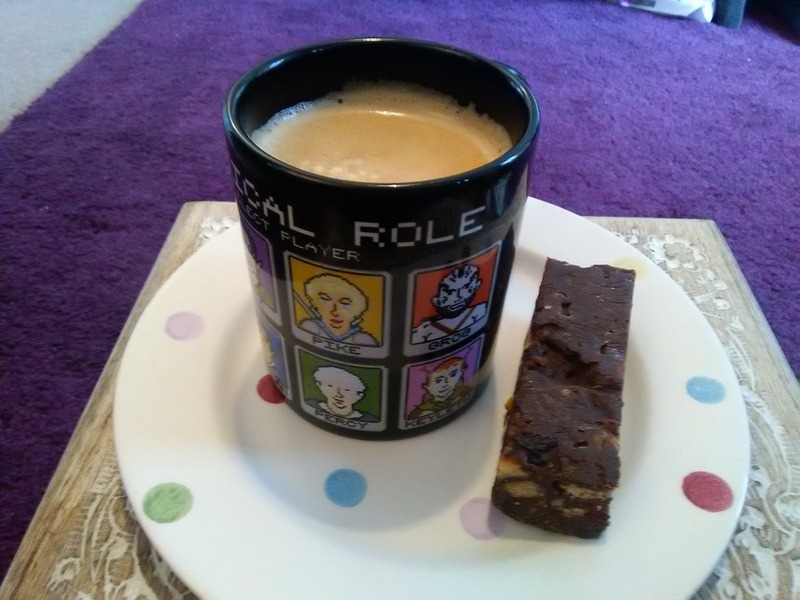 Simple morning coffee in my favourite mug and the best Tiffin in the world from The Stannary.